This share certificate was issued to Mrs. Edith Ellen Brooke of The Wallends, Mere Green, Four Oaks on 1st December, 1911. 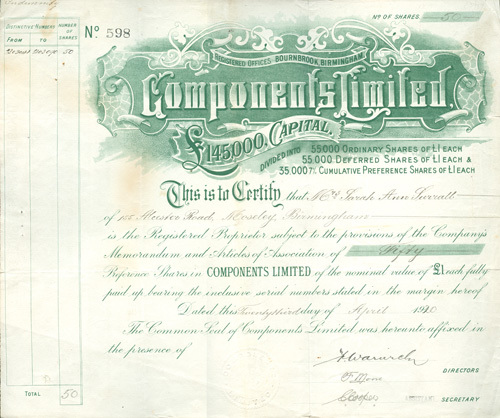 It is for one £1 Ordinary Share. 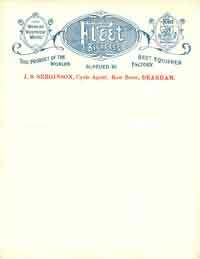 Click for an enlarged image. 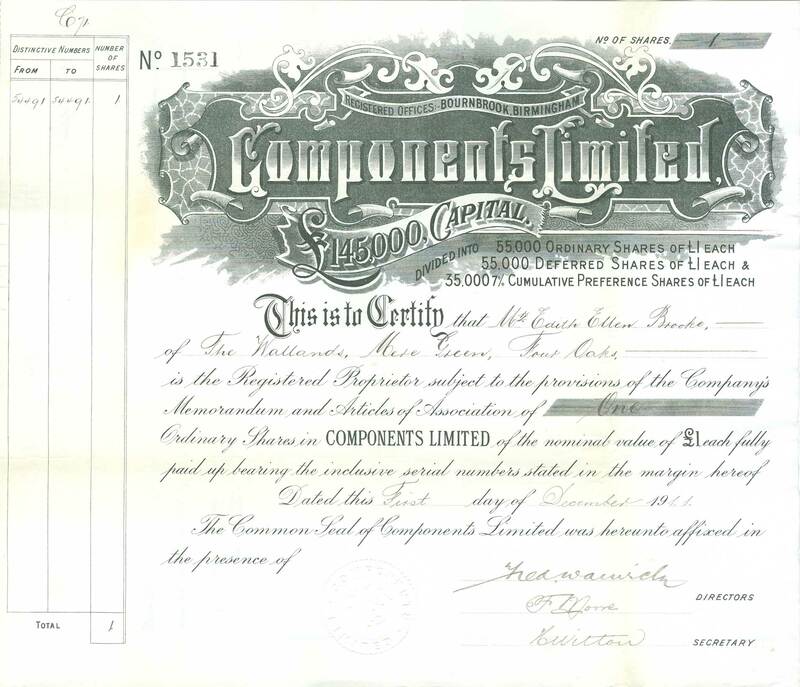 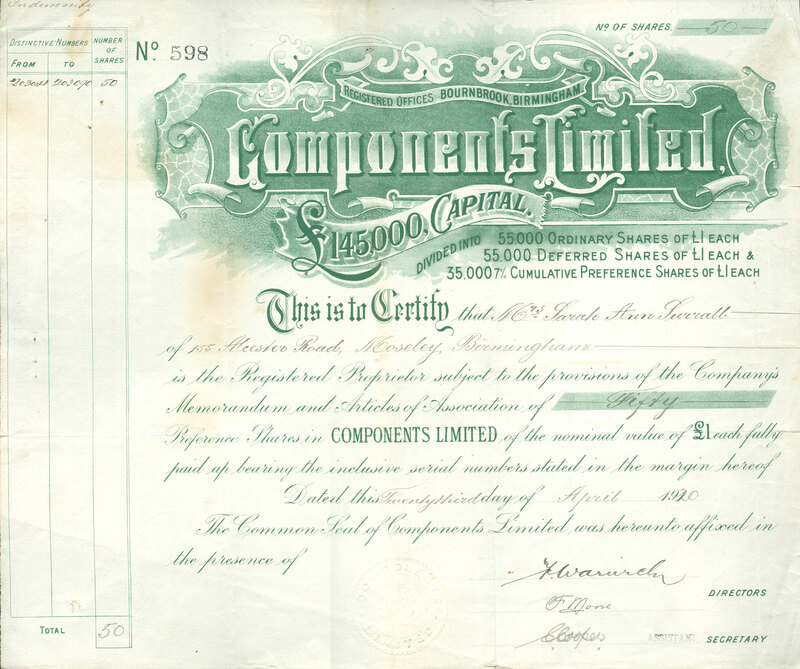 This share certificate was issued to Mrs. Sarah Ann Surrall of 155 Alcester Road, Moseley, Birmingham on 23rd April, 1920. 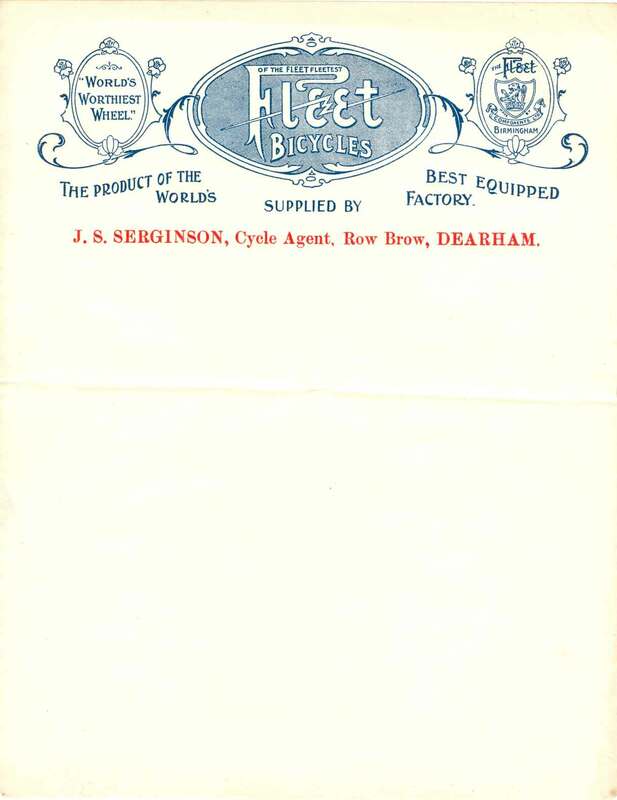 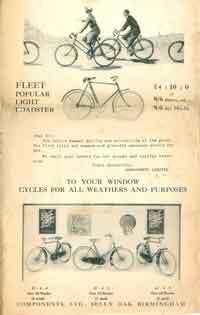 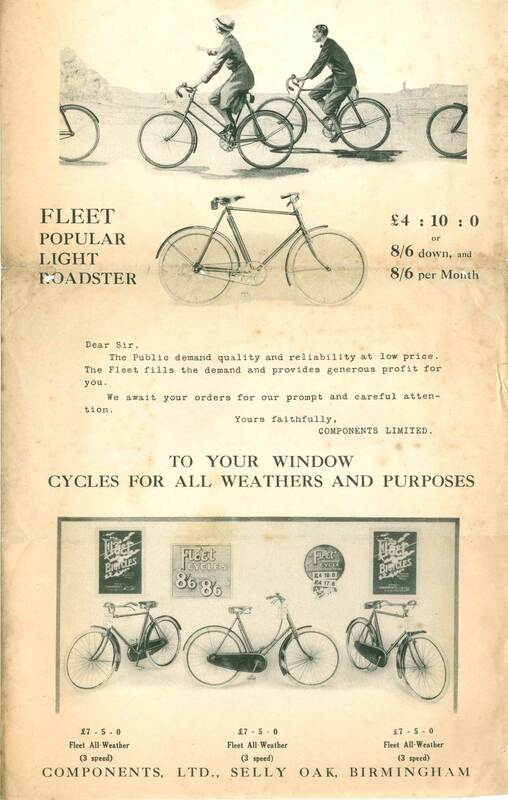 Right, a letter issued in 1927-8 to Fleet dealers.